Subscribe to the channel ..
Visit our sponsors, this way you help us to make this page better. If you give us a like on Facebook you are also helping us to make ourselves known. Click Here !! Soccer and Soccer 7 training drills, information for the monitor and coach of Soccer for children. We want that FutbolSiete.eu to be a web where the Coach or Soccer Monitor can find the information that can help to him to prepare his training sessions or his drills, as much from Sports point of view as of Pedagogical, or In the stages where it is played in the modality of Soccer7 as in those of Football 11. If you want to collaborate contributing your drills, experiences, links to sessions or suggestions contact us through our email info@futbolsiete.eu, your contact will be welcome. You will find the classified information in sections, below we will describe some of them. Soccer and Soccer 7 Training Drills. 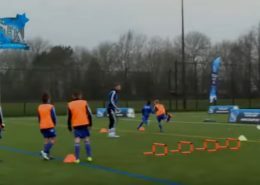 You will find in this section a variety of soccer training drills suitable for U7, U9, U11 and promises as well as soccer 11 drills for all categories (U13, u16, U18 and amateur category). All of them can be adapted to the ages of the players to whom we are training. Formations in Soccer 7 and Soccer 11. In this section will be including the analysis of the different formations both Football 7 and Football 11, discuss the advantages, disadvantages, types of players needed and progressions in the game. Rules of Football 11 and Football 7. In this section you can find the rules of Football 11 and also the specific rules of Football Seven such as the dimensions of the pitch, the offside, etc. Speed and Losing yor Marker Drill #1. Soccer Drills for children. 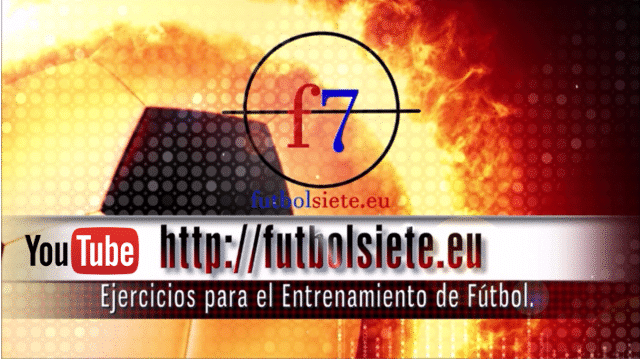 https://futbolsiete.eu/wp-content/uploads/2017/01/Ejercicios-Futbol-velocidad-y-desmarque-1.jpg 421 781 Enric https://futbolsiete.eu/wp-content/uploads/2015/10/logo3.png Enric2017-06-19 17:40:372017-06-19 17:40:37Speed and Losing yor Marker Drill #1. 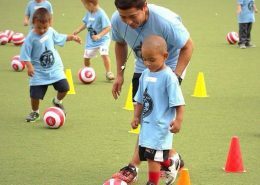 Soccer Drills for children. 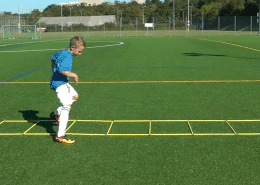 Video soccer drills for kids, speed, 1v1 and finishing drill. 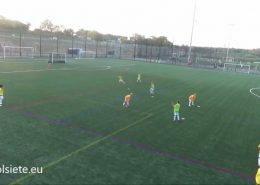 https://futbolsiete.eu/wp-content/uploads/2017/01/Vídeo-Ejercicios-de-Futbol-para-niños-velocidad-1vs1-con-finalización.jpg 437 811 Enric https://futbolsiete.eu/wp-content/uploads/2015/10/logo3.png Enric2017-06-15 13:45:292017-06-16 15:11:40Video soccer drills for kids, speed, 1v1 and finishing drill. The football coach at the earliest ages. https://futbolsiete.eu/wp-content/uploads/2017/05/El-entrenador-de-fútbol-en-las-edades-más-tempranas..jpg 600 600 Enric https://futbolsiete.eu/wp-content/uploads/2015/10/logo3.png Enric2017-06-12 19:05:242017-06-12 19:27:05The football coach at the earliest ages.